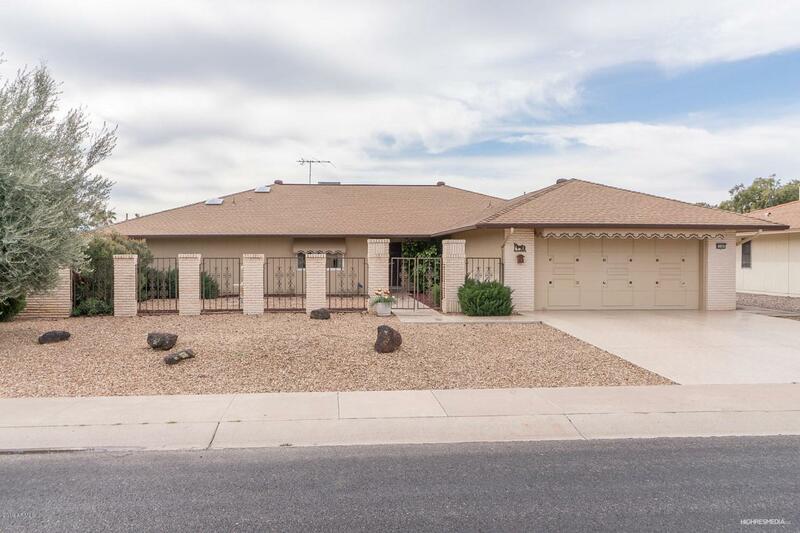 WONDERFUL 'AUGUSTA' W/ INVITING COURTYARD ENTRANCE! SPACIOUS 2BR/1.75BTH W/ LARGE 2 CAR GARAGE. INTERIOR WAS RECENTLY PAINTED IN '18 & POPCORN CEILINGS WERE REMOVED. 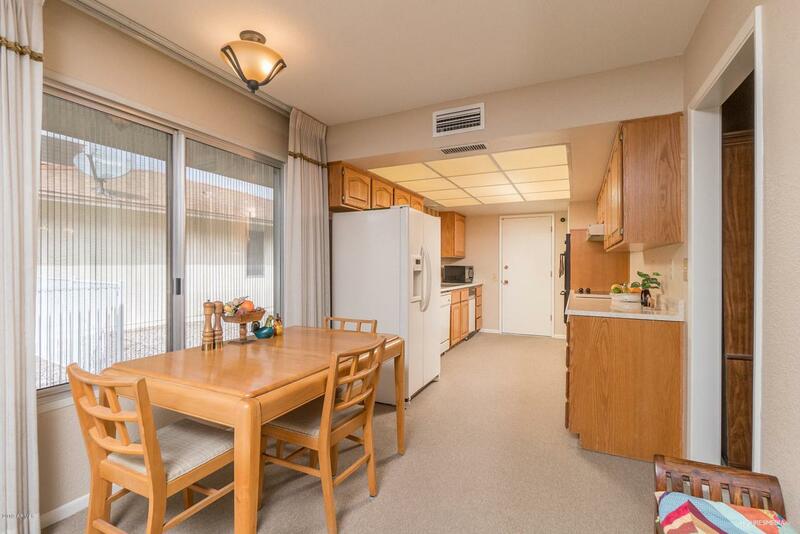 EAT-IN KITCHEN FEATURES OAK CABINETS, DOUBLE OVEN, COOK TOP, DISHWASHER, REFRIGERATOR, & PANTRY. DUAL PANE WINDOWS, SUNSCREENS, SECURITY DRS, CEILING FANS, SKYLIGHTS. MASTER SUITE W/ SEPARATE EXIT & TWO WALK-IN CLOSETS. VINYL FLOORING IN BOTH BATHS-'19. NEUTRAL CARPET. ROOF-'09. MAIN HOUSE A/C/HEAT-'17. 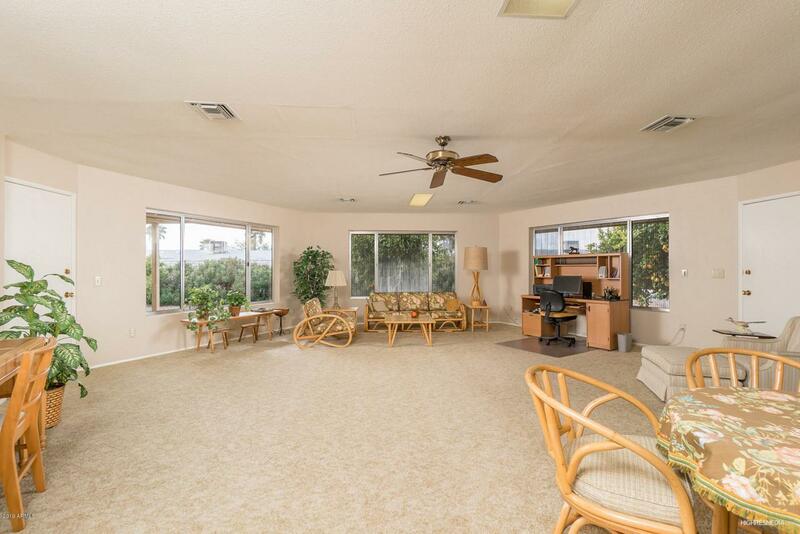 COVERED PATIO OVERLOOKING PROLIFIC CITRUS TREES. 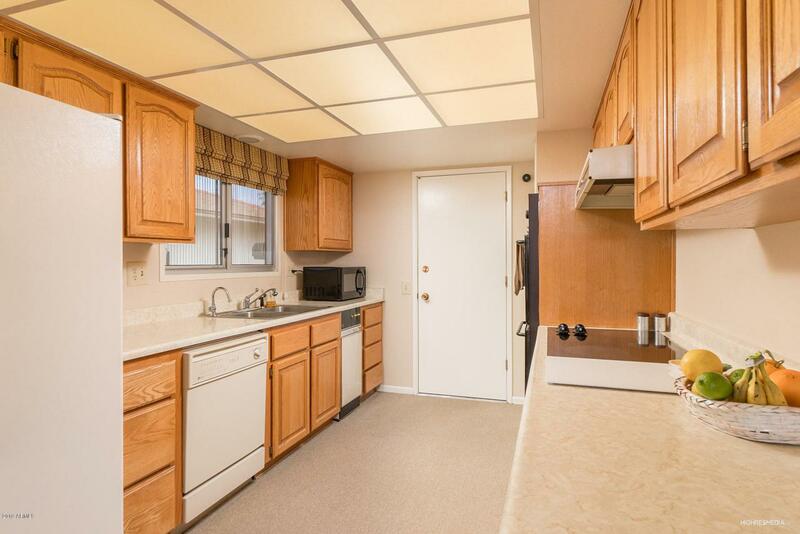 EXTENDED LENGTH GARAGE W/ WASHER/DRYER, TUB, WORK SPACE, & ATTACHED CABINETS. SPACE FOR GOLF CART TOO. NOW FOR THE BEST PART, THE ADDED GREAT ROOM HAS BEEN UNIQUELY EXPANDED. YOU WILL LOVE IT! SOME FURNITURE AVAILABLE BY SEPARATE BILL OF SALE. A MUST SEE!